GenSight (NASDAQ: GNST) is smaller size biotech deal with Leerick, Evercore and Canaccord on the cover. The 4.6M shares are all primary with a $14 mid-point. It’s scheduled for tonight, November 5th. Post-IPO there will be close to 19M shares with a market capitalization of $270M. This French company has two products for treating eye disease. They target forms of blindness that don’t currently have effective treatments. The CEO has quite a bit of experience including the recent success at founding Fovea in 2005 which was sold to Sanofi (SNY) in 2009. Generally speaking the management team and scientific advisory board is solid. GenSight exploits gene-therapy and viral delivery mechanisms which are both state-of-the-art in terms of developing new treatments. 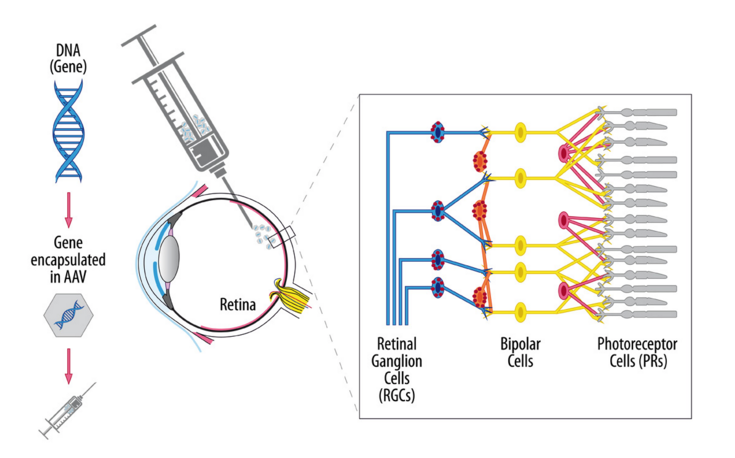 The secondary drug, GS030, is aimed at Retinitis Pigmentosa (RP) which is an orphan disease that begins to cause degeneration of vision at an early age (18-20 years old) and causes total blindness by the age of 40-45 years. There is also evidence that some portion of traditional “getting old” blindness might be treated by GS030 as well. The therapy strategy is to add photoreceptors into the ganglia of the eye. As a side point of interest this protein, ChrimsonR, is in-licensed from MIT. One visible (sorry!) drawback of the Phase III trial for GS010 is that the primary endpoint is measured at *48 weeks* which is a long period of time to wait. However there will be data from earlier trials coming in 2016 and 2017 that will help predict the outcome of the Phase III. For GS030 the pivotal trials won’t occur until 2018. This will require patience. Investors should refer to the GNST IPO roadshow slides for more details and some pretty technical descriptions of the science behind the commercial efforts. We do have a “sight” theme implemented at IPO IQ which suggests investors may also be interested in. Here’s a “sneak peak” of how these related companies will show in IPO IQ. At a glance it’s easy to find companies like Second Sight (EYES), Glaukos (GKOS), Presbia (LENS), EyeGate (EYEG), Avalanche (AAVL), Ocular Therapeutics (OCUL), Applied Genetic Technologies (AGTC) Eleven Biotherapeutics (EBIO), Aerie (AERI), Ophthotec (OPHT) and Inotek (ITEK) which are all developing ways to target the eye.